What is Diabetes Blog Week? Click here for an explanation. You can also check out a list of participants over here. Click for the Change the World - Monday 5/12 Link List. 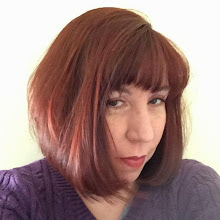 Click for the Poetry Tuesday - Tuesday 5/13 Link List. This year, Diabetes Blog Week and TuDiabetes are teaming up to bring out the poet in you! Write a poem, rhyme, ballad, haiku, or any other form of poetry about diabetes. After you’ve posted it on your blog, share it on the No Sugar Added® Poetry page on TuDiabetes, and read what others have shared there as well! Click for the Mantras and More - Thursday 5/15 Link List. Click for the Diabetes Life Hacks - Friday 5/16 Link List. Click for the Saturday Snapshots - Saturday 5/17 Link List. Click for the My Favorite Things - Sunday 5/18 Link List. As we wrap up another Diabetes Blog Week, let’s share a few of our favorite things from the week. This can be anything from a #DBlogWeek post you loved, a fantastic new-to-you blog you found, a picture someone included in a post that spoke to you, or comment left on your blog that made you smile. Anything you liked is worth sharing! Click for the Tell Me a Story Wildcard Link List. 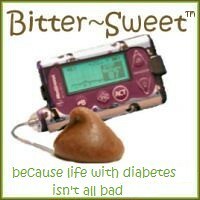 Click for the Diabetes Dream Device Wildcard Link List. This continues to be one of the most popular DBlogWeek topics, so let’s have another crack at it! Tell us what your fantasy diabetes device would be? Think of your dream blood glucose checker, delivery system for insulin or other meds, magic carb counter, or anything else you can think of. The sky is the limit – what would you love to see?